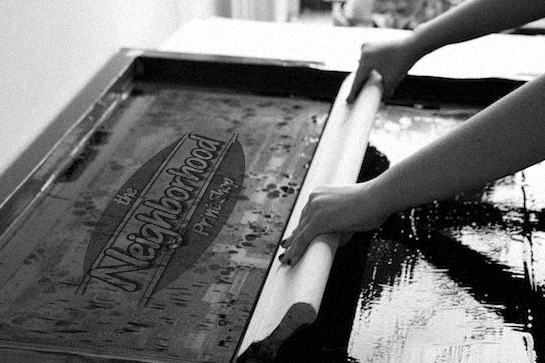 Screen Printing is the standard by which all other printing methods are judged. Other processes like Direct-To-Garment, Vinyl and Plastisol Transfers try to emulate the look, feel, and durability of Screen Printing. The other methods require less equipment, less space, and less expertise. Unfortunately the product is often just that – less. While other processes can shine in niche instances, 90% of our apparel orders are best suited to Screen Printing. Screen Printing is in addition to garment price. Prices listed are from our retail printing price list. We are able to print up to 10 colors per location upon request. Contract rates are available for qualifying customers. Dark Garments – Add one color, may need to add one screen for an underbase layer. The price grid can be a bit daunting to navigate, if you are looking for simple, basic printed shirts take a look at our cheap custom shirts page.